so he could observe them as they grew. He would dig a hole and create a fountain and waterfall with the garden hose. Being 12 years old, he wasn’t concerned with the water bill at all. Many of us left behind the fun of critter-watching and transforming dirt holes into ponds in our youth, but not Lamberson. By high school he built a real pond in his parent’s backyard. in their yards, too. So throughout college where he was studying environmental science, he made extra money by taking water samples for the United States Environmental Protection Agency – and building ponds. Lamberson graduated from Indiana University and took a job with the Indiana Department of Environmental Management. 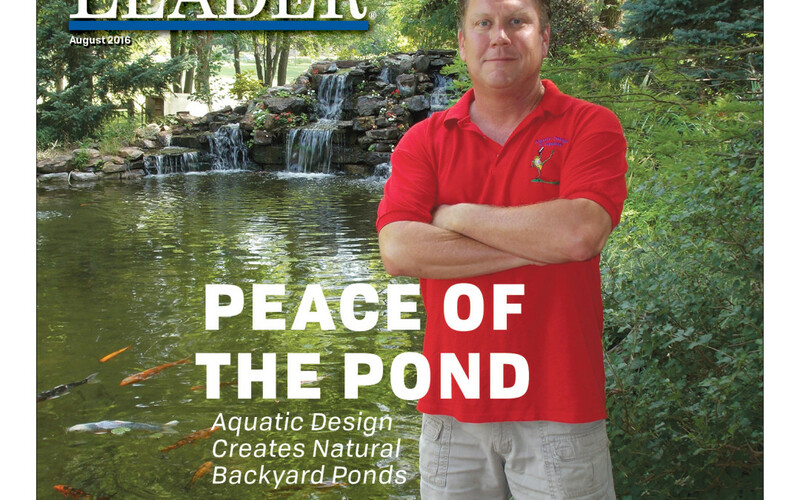 He purchased two acres of meadowland and a little one bedroom house on State Road 39 and spent time on what had by now become a major hobby: designing and building ponds.